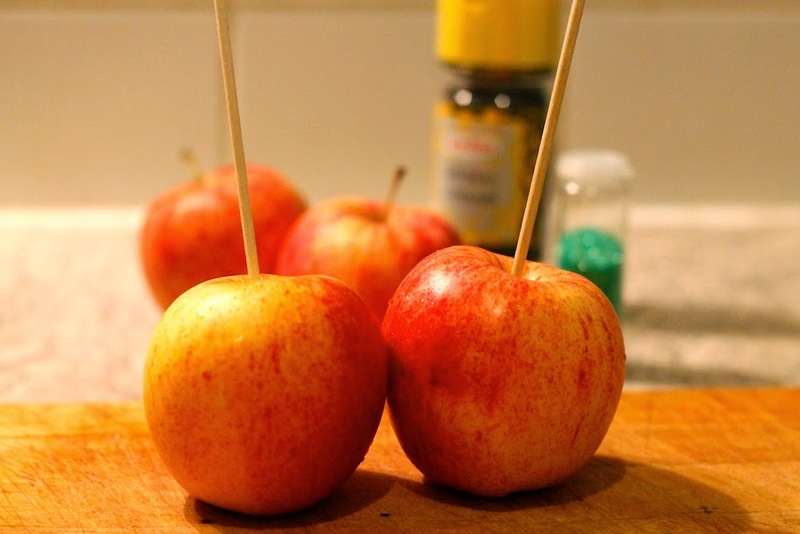 Unscrew the apples' stems and stick the picks into the apples. 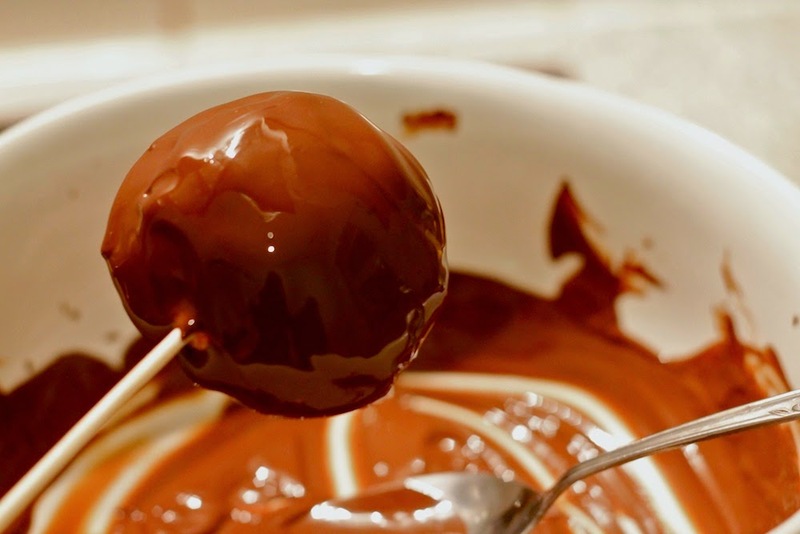 Melt the chocolate in a bowl over boiling water. 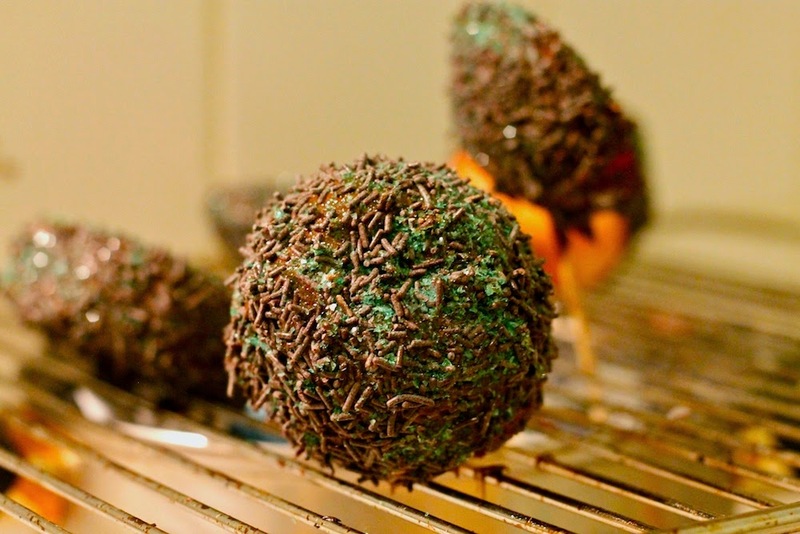 Dip the apples into the chocolate and roll them around until they are covered the way you want them. 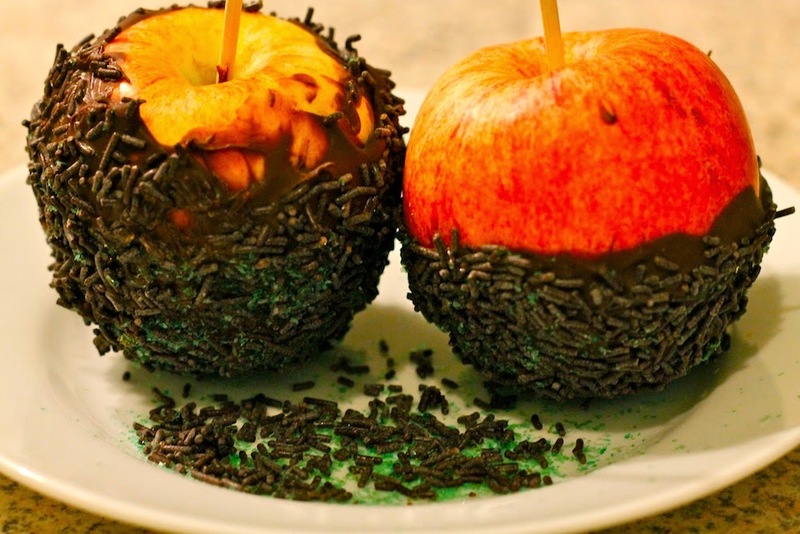 You can also use a spoon to cover the apples if rolling alone doesn't work. 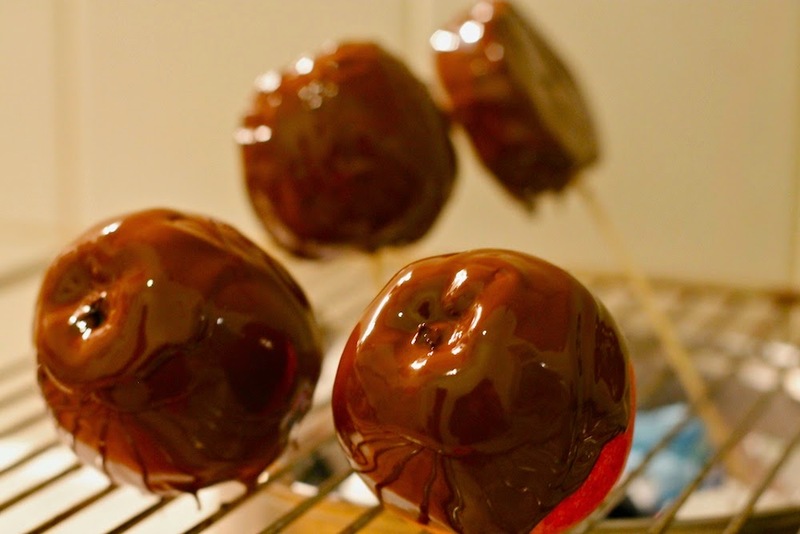 To let the apples drain put them into a cooling rack over a pot. As you can see in the background of the picture I also experimented with apple slices instead of whole apples, which also worked fine. Now comes the fun part. 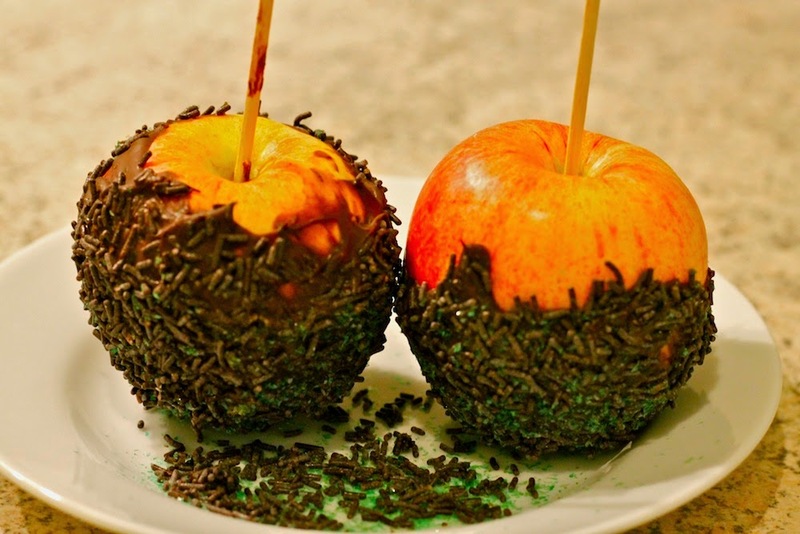 :) When the chocolate has cooled down a bit, pour the chocolate sprinkles into a deep dish and roll the apples in them. 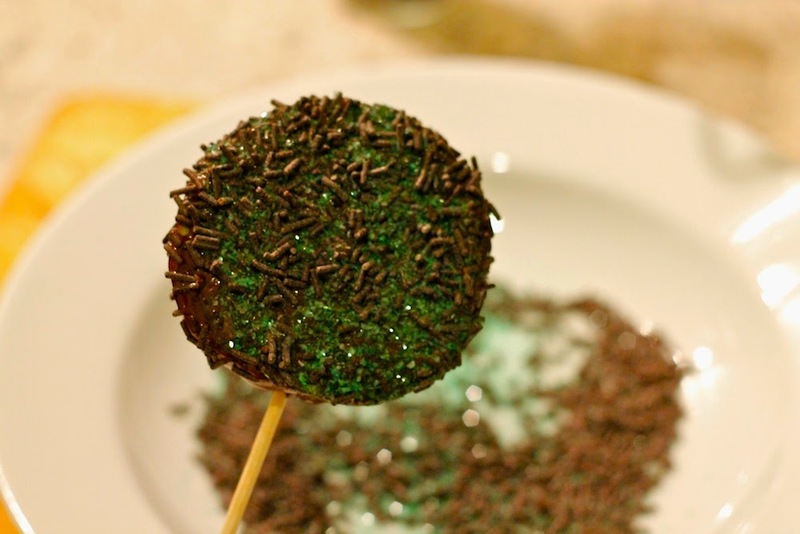 Afterwards sprinkle the green glitter over the apples. To let the apples dry completely put them back into the rack.